With the rapid increase in the number of international travellers, individuals moving more frequently, overcrowded living conditions and the lack of effective insecticides, the number of bed bug infestations have increased significantly. 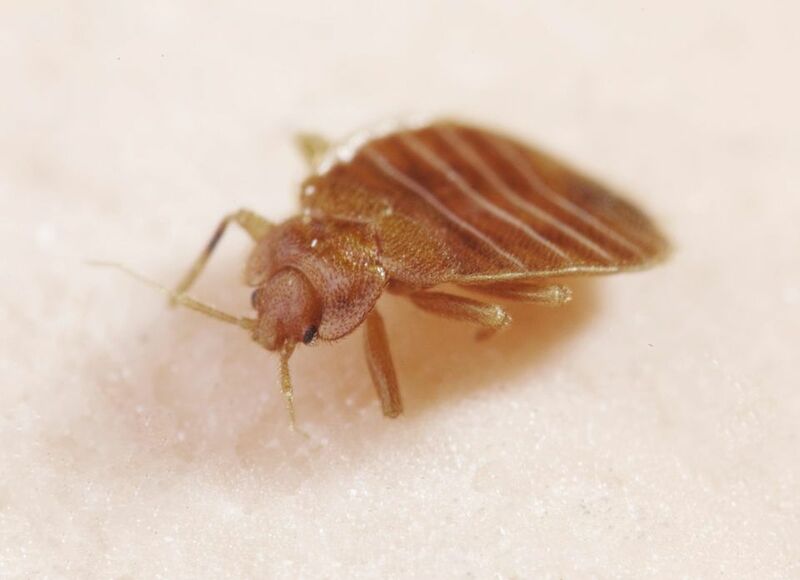 Bed bugs are dispersed largely by people bringing them into their homes in their luggage or on clothes after visiting an infested dwelling or hotel. They are usually associated with poor housekeeping and low standards of hygiene but will find suitable harbourages and hiding places in clean premises as well. Although their mobility is restricted to crawling, they will infest adjacent rooms or neighbouring buildings by extending bridge like dtructures that help them migrate. There are two species of bed bugs in Australia Cimex lectularius (Common bed bug) & Cimex hemipterus (Tropical bed bug). Bed bugs spend most of their time hiding in cracks and crevices in fairly close proximity to their sleeping host. They are about 3-5mm long, rusty red-brown in colour, are wingless with an oval flattened body. Bed bugs feed mostly at night on blood and retreat back to their hiding places after feeding; they are somewhat gregarious, so they are normally found grouped together and will crawl several meters to feed. When bed bugs bite, most people have a skin reaction due to the anticoagulant saliva they inject into the body when feeding. Local swelling occurs on the skin at the bite site and the bite can become inflamed and itchy and can cause a great deal of discomfort. Skin reactions may be delayed up to 7 days. Adult bed bugs live up to 6 to 12 months depending on conditions and all stages, nymphs and adults of both sexes require blood for nutrition and development. The female lays up to 3 eggs a day and may lay 200 -500 eggs in her life time. Eggs hatch usually in 7 to 30 days. In mattresses, especially in the seams and behind mattress buttons. Within bed frames and in and behind headboards especially if fixed to the wall. In and behind furniture, such as bed side tables, closets, clothing draws, wardrobes, book shelves etc. In floors between the floorboards. Behind picture frames & wall hangings. Inside electrical and electronic fittings and equipment i.e. light fittings, inside clocks, phones, televisions and smoke detectors. In switch plates and outlets. Under loose wallpaper, tiles & panelling. Curtains, curtain rods and window furnishings. In upholstered chairs and sofas (especially in the seams, cushions, cushion buttons). Prevention is better than cure and in many cases improving standards in hygiene and housekeeping will make premises less favourable for bed bug infestations. The following guidelines will also help prevent bed bug infestations. Firstly, Bed bugs are attracted to dirty laundry When traveling, inspect the hotel bed and furniture especially the mattress and bed head. Secondly, keep luggage (suitcases) and personal items away from the bed and off the floor. Be sure to thoroughly check all luggage before leaving your hotel and prior to bringing it into your home. Thirdly, avoid placing suitcases and backpacks in or on areas that are used by many people, unfortunately sometimes this is unavoidable when flying and your luggage needs to be checked in, or when you are on a cruise or it has to go into a luggage department. Before packing for home, check along the seams and folds of luggage for live bed bugs. If in worst case scenario your home becomes infested, you need to carefully consider all treatment options. While there are a variety of DIY options available for bed bug control, improper use of pesticides can be harmful. The most effective option is to call in an experienced professional. Brisbane Terminator are one of the best in the Pest control companies in Brisbane and we provide a service that is world class and not to mention value for money. Owning over 15 years’ worth of experience, skills and knowledge, we offer you a service that ensures a long-term solution to all your pest control issues. We are open seven days a week and we deliver you a service that will give you a spotless cleanliness and hygiene. Our experienced and efficient line of employees were mostly a part of health administrations formerly which gave them the relative knowledge about health and hygiene. We work with residential and commercial clients and providing a squeaky-clean experience is our sole motto. Contact us, today!